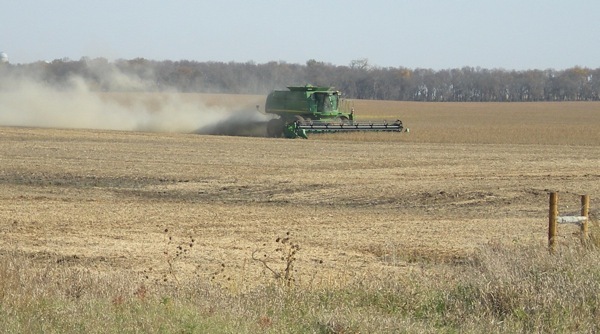 Returning to South Dakota for my father’s funeral in late fall, I was struck with the fact that it was harvest season. I grew up in a rural community where this was just part of the farming cycle but I had been away from the area for over 10 years living in a Texas urban city. Being exposed again to the sights and sounds of tractors in the cornfields, I gained fresh insight into harvesting souls in direct correlation to short-term mission trips. Farmers always have a small window of time to harvest their crops due to weather impediments and ground conditions. Jesus communicates this same urgency to His disciples, “Don’t you have a saying, ‘It’s still four months until harvest’? I tell you, open your eyes and look at the fields! They are ripe for harvest.” (John 4:35 NIV, ©2010) Be confident knowing that you are God’s anointed co-worker, and you will be arriving to harvest the ripened field at His appointed time. According to Wikipedia, in agriculture by testing the soil you can determine nutrient content, composition and other characteristics, including contaminants. Take some focused time to analyze the soil of your mission field. What is the historical background, educational level and socio-economic condition of the country? What are the spiritual beliefs, tribal customs, local traditions and family dynamics of the region? Find out more about the local missionary with whom you will be working and the type of ministry he/she provides to the community of your destination. Go to the next devotion entitled, “Rainfall”, in this Harvest devotional series!